When it comes to navigation tech, Garmin is the “go to.” They have spent decades racking up experience in the portable GPS market, including marine, aviation, hunting, and sports sectors. In a relatively short time, golf GPS devices have become mainstream and a near necessity for the average player. Remember the days where you had to apply clunky mental calculations, aka best guess, or wait while other players marked their yardage from the nearest sprinkler head? With Garmin’s modern technology this is no more. 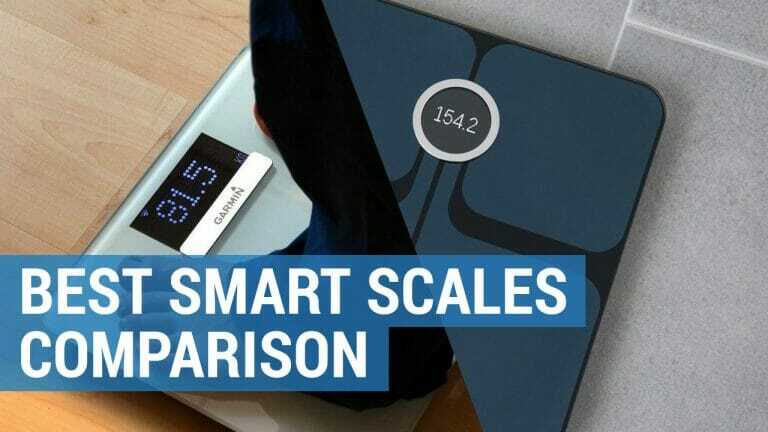 Even more impressive, the handheld devices and stand alone systems that were cutting edge just a few years ago have evolved from large bulky devices into sleek lightweight handhelds. 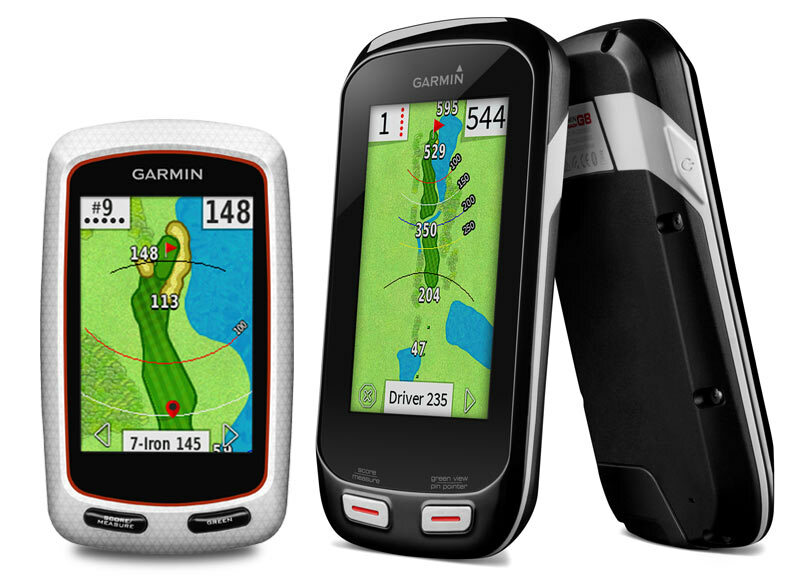 The Garmin Approach G7 and G8 golf GPS handhelds both have full-color interactive touch screens. They come preloaded with more than 40,000 maps from the most popular courses across the US and abroad. The rechargeable battery is capable of many rounds of play, lasting around 15 hours on a single charge.Both, the Approach G7 and G8 are durable enough to withstand the occasional rainstorm with a water rating of IPX 7. Both withstand abuse well and can be tossed in the user’s golf bag without worrying about damage. The Approach G7 and Approach G8 retain the sleek design made popular by the Garmin G6, and they provide the same accurate distances to front, back, center, and doglegs, as well as, the ability to pinpoint any target on the course (or off). The devices are compatible with Garmin Connect software. Users can easily upload scores and track their progress over time. New to the G7 and G8 are features that allow players to plan their game more efficiently. NEW Playslike Distance: Gives the golfer distances to the target, adjusted for uphill or downhill shots. NEW Smart Notifications: Receive email, texts and alerts from your iPhone (4s or later) directly on your golf handheld. NEW Garmin Connect: Online golf community lets you play, then share and compare your round. NEW Club Advice: Remembers how far you hit each club, and provides recommendations on which club to use based on your shot distances. NEW Big Numbers Mode: For easy viewing on your screen, increase the font size for distances to the front, back and middle of the greens. NEW Pinpointer: Provides blind shot assistance by pointing you in the right direction when you are unable to see the pin (G8 only). NEW Automatic Course Update: Device automatically updates courses with a Wi-Fi connection for no additional charge (G8 only). Preloaded Courses: Preloaded with more than 30,000 international courses and free lifetime course updates with no fees or subscriptions. Colour Touchscreen: 3” high-resolution, multi-touch display with slim and sleek design (G8 only); 2.6” resistive touch display (G7 only). Stat Tracking: Enhanced stats keeps track of fairways hit, greens in regulation and putts per round. Scoring Options Save, review and share scores for up to four players; includes Stroke Play, Stableford, Skins and Match Play with adjustable handicaps. Printable Scorecards: Access a printable version of your scorecard on your computer. Touch Targeting: Touch any point on the display to show the precise distance to that exact spot, such as the fairway, hazard or the green. Green View: Zero in on the pin and manually move the pin to the day’s location, giving you more accurate yardage. Durable and Water Resistant: Tough, durable, compact and water resistant (IPX7) design. Developers and golfers agree that GPS devices help significantly regarding course management. In addition to providing yardage to hazards and obstacles, the Approach G7 and G8 devices from keep track of scores, calculate information you may use for side-bets and offer helpful tips on how to play certain shots, including club recommendations. 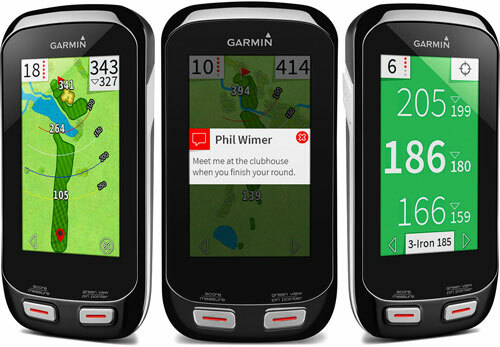 The Garmin Approach G7 and G8 allow for instant communication with the outside world, via Bluetooth or WiFi technology. The Approach G8 TruSwing compatibility features can be helpful in diagnosing your swing offering timely correction advice.These devices provide affordable options for the serious golfer wishing to take strokes off of their game. However, tournament play using the device may be prohibited because of the added “plays like” and club advice features. Whether you just need a sneak peek at what lies ahead, you can benefit from the crisp, bright, and highly responsive touch screens that are standard on both devices. Both of these models have lots of impressive features. The ones we have listed here are some that truly make these devices unique. Accurate, giving the precise distance to the pin from any location on the green. Garmin is the foremost leader in GPS location and navigation technology. Durable, rugged, and water resistant, withstanding up to 30 minutes in one meter of water. First golf GPS devices that can reliably predict slope. Through the CourseView auto updater on the Garmin Connect mobile app, the Approach G7 & G8 can update golf courses automatically so you always have the most updated course map data available. With over 40,000 preloaded worldwide courses you can just turn it on and start playing. You won’t pay for course updates or additions, or any subscriptions or fees. 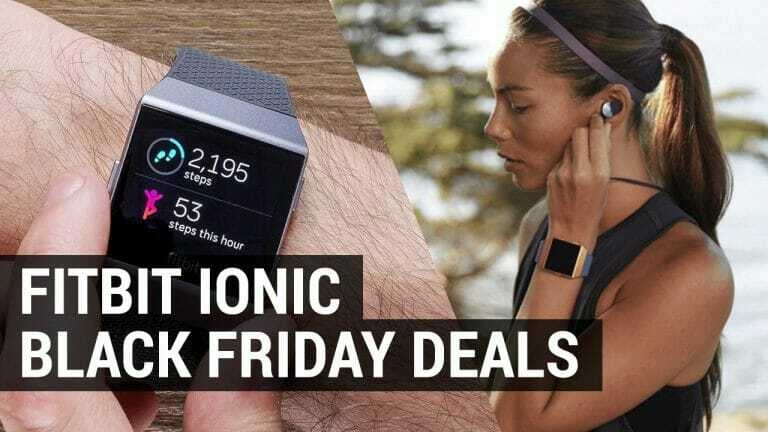 Sleek and lightweight, these Garmin Golf GPS, devices combine the cutting edge design and technology with the reliability and ease of use Garmin is known for. Both the Approach G7 & G8 incorporate the new measurement features PlaysLike Distance and pin positioning, though the PinPointer feature is available only on the G8 model. The Approach G7 & G8 both provide terrific reliability and ease of use and are durable, yet sleek devices. They may not be in everyone’s price range. 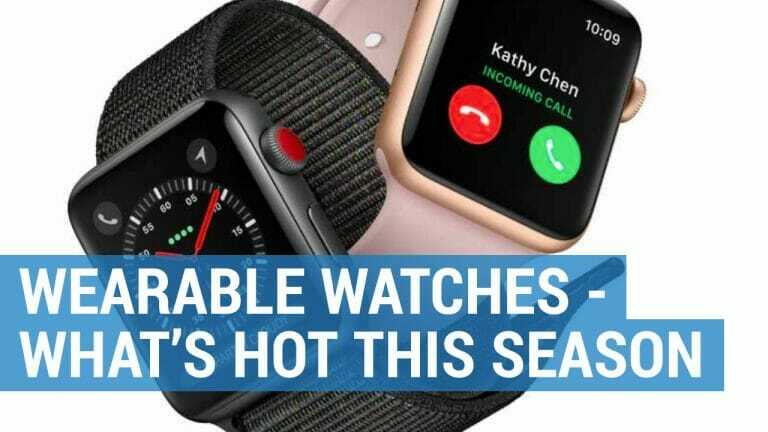 However, they are budget priced when comparing their many features to stand alone or laser rangefinders.Garmin offers a standard limited warranty on all of their devices. 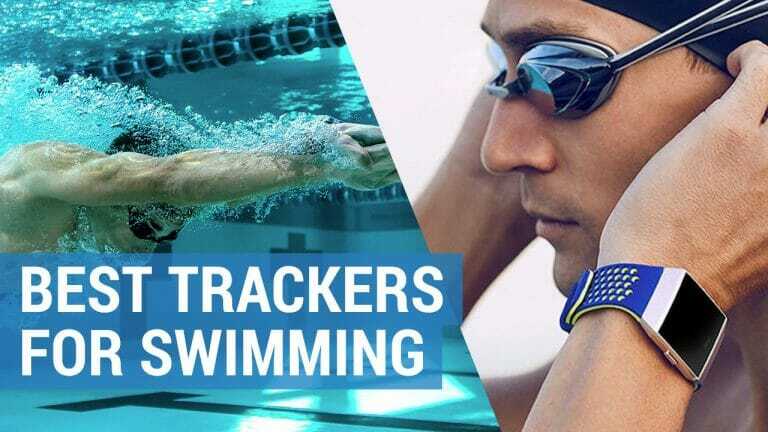 All Garmin products, including the G7 and G8, are considered to be under warranty for any defects in materials or workmanship for a term of at least 1-year from its date of purchase. Also, service and repair are available for all devices.